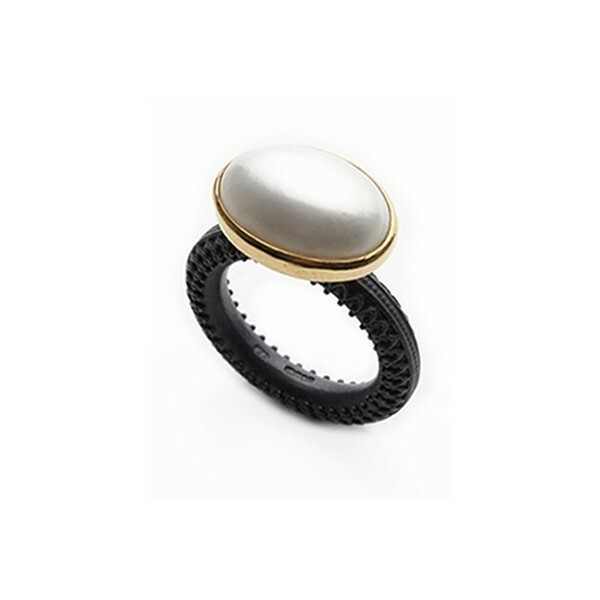 Handmade to order in your size by Marianne, this stunning oxidised silver ring features an oval cabochon white mabe pearl set in 18ct yellow gold measuring approximately 16mm x 12mm. 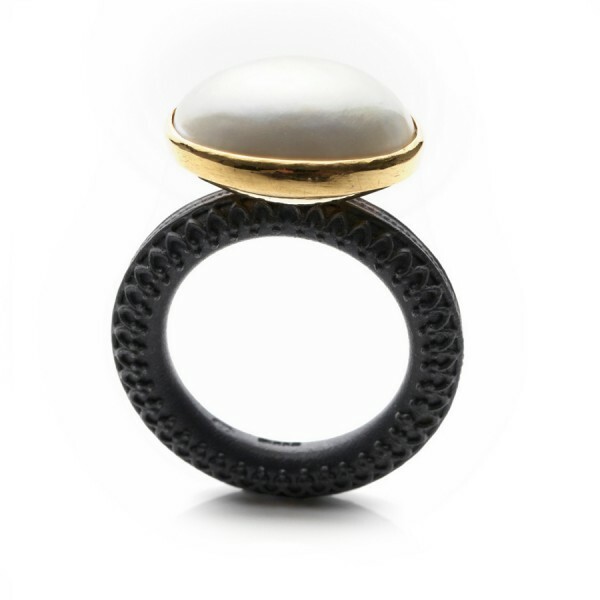 The pearl is set horizontally on the ring shank - elegant and flattering to the hand. 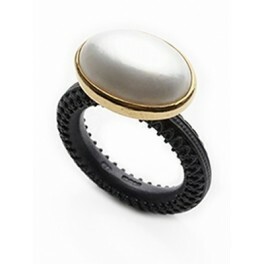 Detailed and sophisticated this ring is ideal for pearl lovers. 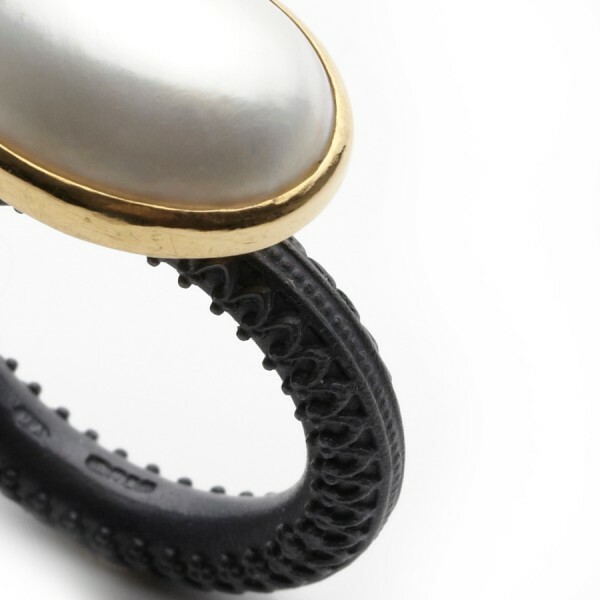 The thickness of the band is 3.5mm with a round profile. 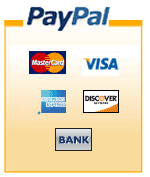 The pearl measures approximately 16x12mm.